UPDATE March 11: Jairam Ramesh will no longer participate in these events due to unexpected parliamentary obligations in India. Below is the updated article. 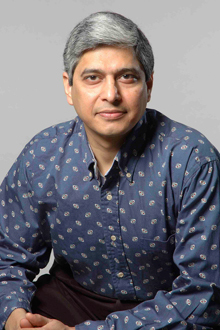 Best-selling author and diplomat Vikas Swarup will headline Emory University’s annual India Week March 16-20. Organized by Emory’s Claus M. Halle Institute for Global Learning, the program features talks on global economies, secular ethics and contemporary literature, among other topics. Swarup, whose 2005 novel “Q&A” was the basis for the Academy Award-winning film “Slumdog Millionaire,” will give a talk on his creative process at 4:30 p.m. Friday, March 20 in the Claudia Nance Rollins Building Auditorium, 1518 Clifton Rd. A screening of the film and a book signing will follow. Other speakers include Jagdish Sheth, Charles H. Kellstadt Professor of Marketing at Emory’s Goizueta Business School, and Geshe Lhakdor, director of the Library of Tibetan Works and Archives in Dharamsala, India. Emory also will host an evening showcase of South Asian dance and musical performance groups. Visit halleinstitute.emory.edu for full event details. Admission is free, but online registration is required for some events. Launched in 2010, India Week—formerly the India Summit—regularly features distinguished business leaders, foreign policy experts, government officials and scholars from a variety of fields. Past summits have showcased the paradigm shift in the world from developed to emerging economies. Established in 1997 with a gift from Claus M. Halle, the Halle Institute for Global Learning bring distinguished visitors from around the world into dialogue with Emory and the broader Atlanta community. The Institute collaborates with schools, centers, and other partners to cultivate global perspectives and international understanding on campus and beyond.